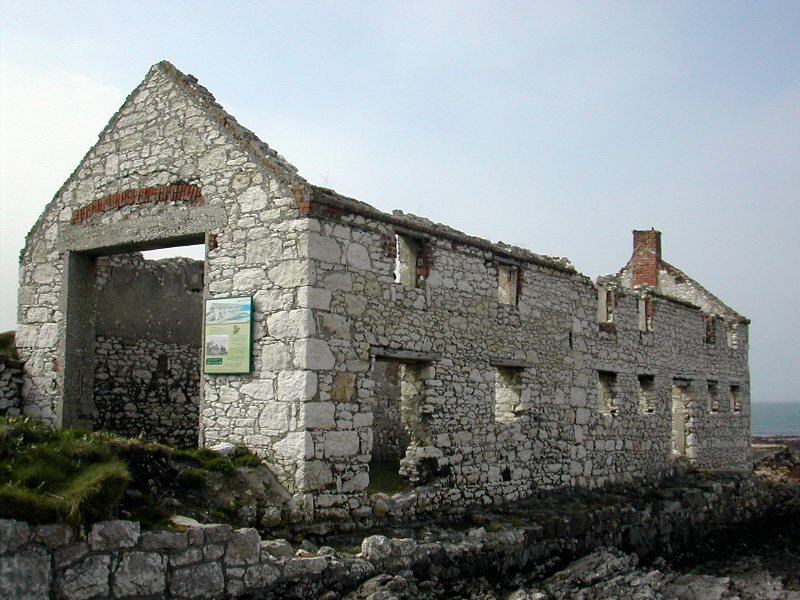 The Kelp House - once used to store the end product from burning kelp (seaweed) cut and collected on the sea shore. The burnt kelp was exported to Scotland. In his book on Aran (Pilgrimage) - Tim Robinson gives a detailed account of the gathering of seaweed from the seashore, the burning of the kelp and of the workings of its marketing.